Ed Doremus is the author of two books. His first book Windjammers, East of Flattery (1962) was reissued in 1964 as Windjammers east of Flattery: a little reminder of the stately craft that sailed the Straits and the waters of Puget Sound, not so long ago. 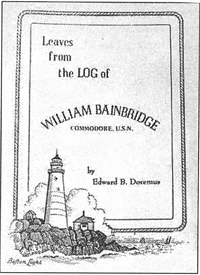 Several years later Doremus wrote Leaves from the Log of William Bainbridge, Commodore (1996), a brief biography of the naval officer in whose honor Bainbridge Island has been named. The text is accompanied by photographs, drawings, and copies of some of the Commodore's hand-written letters. Ed passed away in 2009 and generously remembered the library in his will. 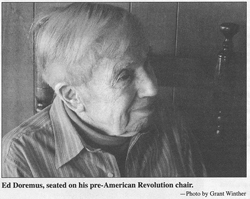 In the 1970's he was on the Bainbridge Library Board of the Directors and served a term as President.